UPDATE: Several have said that Eli got the wrong Thomas. Pretty much everyone with a nervous system more integrated than that of a prawn knows that Gareth has set up a petition to support John Abraham, and now, for the youngsters, there is a facebook page, but relatively unremarked is the fact that the University of St. Thomas HAS behaved with honor and consequence in the entire farago. We know this thanks to Christopher Monckton, by way of Jo Anne Nova and Nick Barnes who brought word to the burrow. Brian Angliss comments on Monckton's attempt at intimidation. Eli would like to comment on how honorably the University of St. Thomas has acted. The only gracious, dignified and civil conduct in the whole farce comes from an academic and the academic's institution behaving *exactly* as they should. The University of St. Thomas is to be lauded. Eli believes that it is of value to place the other (short and to the point) side of the correspondence between Monckton and the University in one place, to show how well the university has behaved. Parts have appeared elsewhere including here. The value of this is to show that the lagomorphs are, perhaps, missing the point, bunnies should be supporting the University, Father Dease, the President of the University of St. Thomas and Prof. Abraham. They are all to be commended for their ethical response to Christopher Monckton's attempt to bully. Too many of our responses have been to HOPE that St. Thomas behaves well. They ARE acting in the best academic tradition and upholding the honor of the University. I am replying to your letter of June 10 2010, on behalf of myself and, at his request, Fr. Dennis Dease, President of the University of St. Thomas. I stand by my original position. Point and counterpoitn are the standard in academic discourse. Our firm represents the University of St. Thomas. I am writing concerning your recent communications with University President Father Dease, Professor John Abraham and other University personnel relating to Prof. Abraham's talk entitled "But Chris Monckton Said . . ."
It is the University's position that Professor Abraham has done nothing improper or illegal in expressing his ideas and opinions on this matter and that Professor Abraham has not engaged in any academic or professional misconduct. Accordingly, the University will not investigate Professor Abraham's conduct in this matter as you requested, nor will the University issue a retraction or apology for Professor Abraham's talk, comply with any of your other demands, or respond to any further communications from you on this matter. Further, the University is appalled by your disparaging, outrageous and defamatory comments, regarding the University of St. Thomas, President Father Dease and Professor John Abraham, especially the comments you made during a television interview on June 24, 2010. On behalf of the University of St. Thomas, we demand that you immediately cease and desist making any further disparaging or defamatory comments about the University of St. Thomas, President Father Dease, Professor Abraham, the Archdioceses of Saint Paul and Minneapolis, or anyone else associated with the University. If your inappropriate conduct does not cease immediately, the University of St. Thomas will have no choice but to take appropriate legal action. Speaks for itself. Eli has previously written about the third letter. We received your e-mail response to our June 25, 2020 letter. The University of St. Thomas respects your right to disagree wtih Professor Abraham, just as the University respects Professor Abraham's right to disagree with you. What we object to are your personal attacks against Father Dease and Professor Abraham, your inflammatory language, and your decision to disparage Professor Abraham, President Father Dease, and the University of St. Thomas. Please be advised that neither we, nor the University of St. Thomas will communicate with you any further about your decision to sully the University of St. Thomas, Professor Abraham, and others rather than to focus on the scholarly differences between you and Professor Abraham. Clearly the University realizes that their fanatical professor has said things that are false and are pleading with Monckton to go easy on them. Not. Why is it not surprising that denialists lack basic reading comprehension skills? The contrast in tone between the various parties in that correspondence is just terrific. Thanks for this. I had noted the University's stance. It should be not just supported but lauded. The only gracious, dignified and civil conduct in the whole farce comes from an academic and the academic's institution behaving *exactly* as they should. Peer out of the burrow and see the shining glow of a precious light. One can only conclude that the Watts et al crowd haven't bothered to watch John Abraham's presentation for themselves, preferring instead to take on faith what they were told: that it was a vicious diatribe. What's being spun out now is how things are supposedly being retracted and posts are supposedly disappearing, etc, as evidence of a "climbing down". No doubt this will be gobbled up just as readily. Hopefully it will dawn on Watts and the good Visocunt that their carefully cultivated army of crazycrackers are far from being the asset they had hoped they would be. It´s nice to know this. Good for the University, indeed. Yes, the University has earned a deserved reputation for defense of academic freedom in the face of high-handed bullying. This entire back and forth between Monckton and Abraham is a wonderful microcosm of the entire 'debate' between the reality based community and the anti-science crazies. It's amazing how such an event can so equisitely show that one side is just completely off their rocker and one is calm, rational and lucid. Recently Anthony Watts, of wattsupwiththat.com, elevated a comment to the position of post where the poster alluded to those who acknowledge Man Made Global Warming to cockroaches. There was a flurry of positive statements in favor of that post with many who commented using the word cockroach themselves. Somewhat later, Anthony Watts weaseled his way out by putting a different spin. This is just one of the ingredients necessary, in a possible future world, to foment Civil War, Mass Atrocities and Genocide. A gentleman named Hugh, over at WUWT, expressed displeasure at Father Dease's leadership. He expressed quite forcefully his opposition to F. Dease's anti catholic behavior as head of ST.Thomas. Interested, I googled dease and came upon a nasty site claiming to belong to concervative, real catholic men. What's going on over at St.T? Are they educating women or something? It would seem that F. Dease has some expertise in slaying dinosaurs. I'm glad now that I have written his office with congratulations, joined the prawn for president facegroups and left a message at Hot Topic. I like to imagine that Uni of St. T learned a valuable lesson from 'climategate' and elected to nip Monckton's pernicious idiocy in the bud. "University of St. Thomas...has earned a reputation for offering a superior education across a broad range of disciplines characterized by exceptional teaching, a strong focus on ethics and moral values..."
And an excellent BS detector. An aside (and caveat) re villabolo's above "Recently Anthony Watts ...[featured a comment that] alluded to those who acknowledge Man Made Global Warming (as) cockroaches...many who commented using the word cockroach themselves"
Keep in mind, some of us at Dot Earth were using the term "robotic cockroach" for the deniers' contingent there, years back, from the experiment demonstrating that astroturfing (via robotic cockroach) was successful at influencing cockroach behavior. What I sense from the Force is the laying of groundwork for a "but you True Believers did it, and now you decry it in Our Team(tm), what hypocrites thou art" campaign. Advice, in case this turns out to be correct: any time you're on the verge of decrying behavior from chez Watts, take a moment to reflect and think about whether&how your decrying words could later be twisted. i.e., Decry with care. and think about what influence robotic cockroaches could have if dressed up to look like science-aligned people; where they may better be called agent provocateurs. I have twice posted similar comments (Villabolo) at Deltoid. I've been surprised by the lack of response (OK, that's just me, then). For any who are in any doubt regarding Watts, please read the Cockroach thread. It has been obvious for some time that there is only a thin veil of civility disguising their opinions; this removes that veil. Watts has attempted to distance himself from the very thread (based on a comment in the Abraham-Monckton thread) he started, but he should not be allowed to escape so easily. I'm sure we all have seen worse stuff somewhere in the blogosphere. This in the "Science Blog Of The Year". Christopher Monckton and other deniers get far more press coverage than they deserve. Journalistic false balance has caused the public to be confused on climate change – the greatest threat to humanity this century. Worse, these deniers have used mainstream media to attack climate science and the scientists who pursue the truth. Let us now turn the tables. Monckton has been exposed by Dr. John Abraham and instead of hiding his tail and whimpering away, Monckton has gone on the offensive by attacking Dr. Abraham and asking his followers to essentially “email bomb” Dr. Abraham’s university president. We need to alert the media to this story. I have assembled a list of 57 media contacts in the hopes that my readers will follow my lead and send letters asking for an investigation of Monckton and his attack on Abraham. I have placed mailto links that will make it easy to send letters to several contacts at once with a single click. In the thread comments, please suggest other contacts in the US and from abroad. This blog thread can then be used in the future to alert the media to denialist activity. Joanne Nova is the Ann Coulter of climate, basically. It seems that Watts is still hosting guest posts from real scientists. It's good that the regulars get some real science from time to time, but do those guest posters know what surrounds their contributions? Do they know where they are? Examples here and here. I belive the Thomas honored in the name of the University is Saint Thomas Aquinas rather than Saint Thomas More. 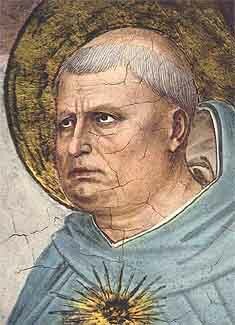 Aquinas was not as easy on the eyes. Well yeah, Eli worried about that, but the Thomas Moore picture is, as you say, so much better. You guys are every bit as warped and twisted as the sceptics you disparage. Fortunately, most sane people now consider both extremes as dangerous. Which extremes would those be? The denialists have no case. They do not publish. The perform no rigorous investigations. They merely obfuscate. Learn some science, Carmen. That "comment of the week" feature got me wondering... is anyone up for a contest of the most ridiculous comment on WUWT? First featured as comment of the week wins.